Every 2 pages containes 1 dog, a little story on that particular dog and his picture or his drawing, because some of the early dogs never got on a real picture. Pedigrees and owners, wins and other nice things to know are covered for every dog. 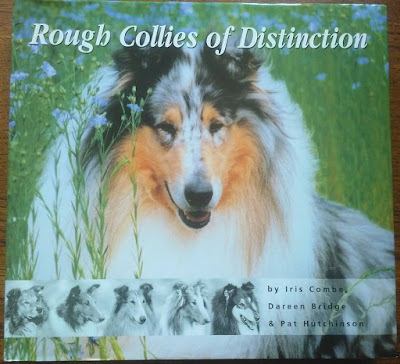 The last section of the book covers family lines, the strains where all the collies of this book sprang from (and many of our today dogs as wel) I love going trough those pages tracing the dogs in their pedigree and looking fr their pictures, what came out of certain combinations. 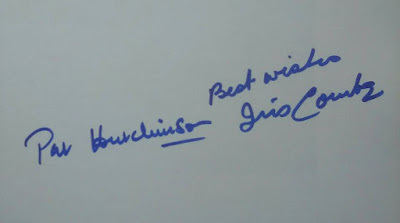 I have no idea if this book is still available. But I saw it on ebay a few times, so it shouldn't be a hard task getting one. You will absolutely love it. The pictures are great, so even if you don't like reading there is a lot of eye candy in this book.